Our best clients are usually repeat clients! Why not get some free stuff for telling all your friends about us? will give you free stuff! 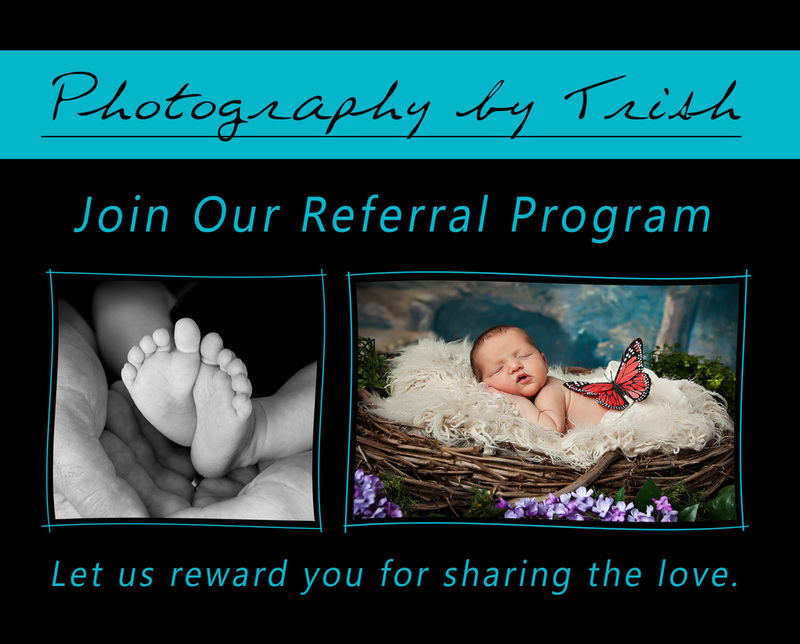 To earn this valuable credit, your referral must give me your card before or during their session. Once they have purchased, and picked up their order, we will mail you a certificate to redeem. Certificate must be redeemed within one year of receiving. May not be substituted for any other products or services. You may gift your certificate to someone else if you like. Need more Referral Cards? Don't have any referral cards? Contact me ﻿here﻿ and I will be happy to get more cards for you from your last session.